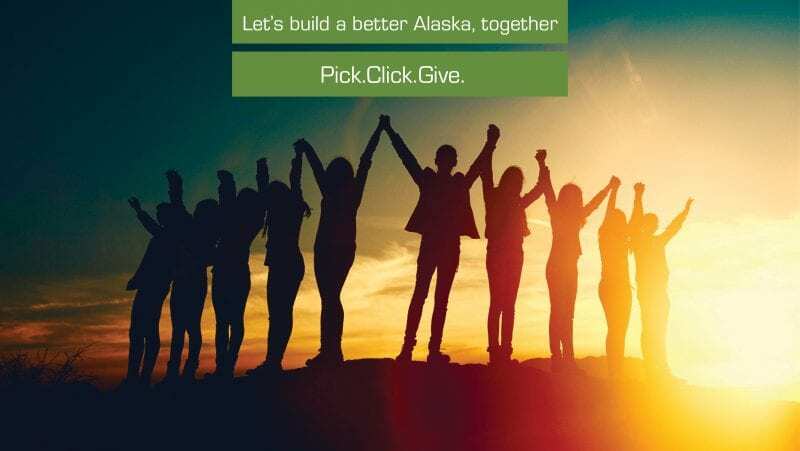 Charles Bingham and Julia Smith are local volunteers for Pick, Click, Give, a statewide campaign to allow Alaskans to donate a portion of their Permanent Fund dividend to nonprofits and charities. In 2017 Alaskans donated $2.5 million to causes that matter to them — over $100,000 in Sitka alone. 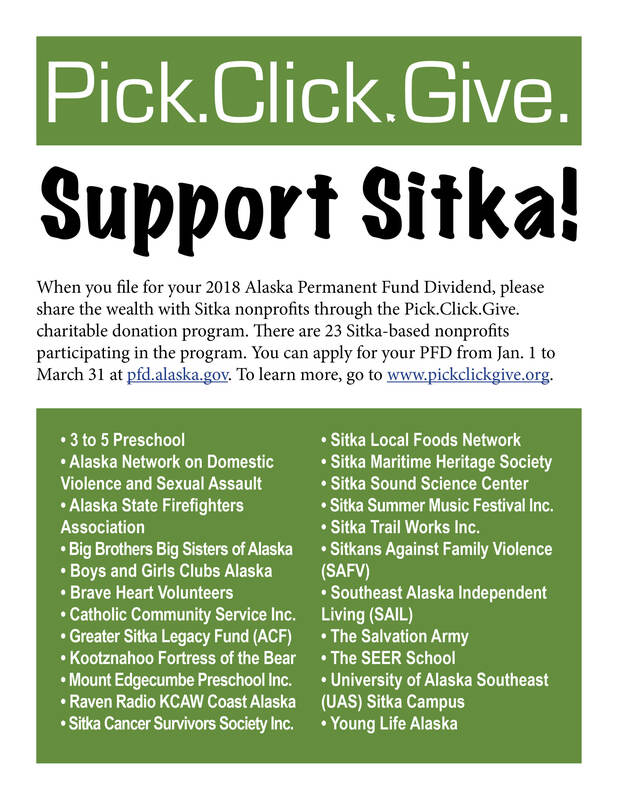 Twenty three Sitka-based non-profits are participating in the program. Learn more about local organizations involved in Pick, Click, Give here.